I did my big chop 3 years ago so needless to say, my ends are getting pretty old now. With my hair being longer and the ends getting older, I've started sealing them again to keep them from drying out and tangling so doggon much. 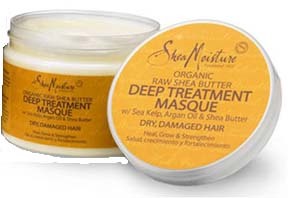 Every night before bed, after I've moisturized and plaited my hair, I apply Shea Moisture Organic Raw Shea Butter Deep Treatment Masque to the ends to keep them soft and supple. It's working. My hair still knots some naturally because that's just what koily hair likes to do but it's nowhere near as much as before I started employing this method. Obviously, before I started this sealing business, I had to do some major search and destroy operations to cut as many as the knots out as possible and since doing so and sealing, very few have returned. I'm very pleased. 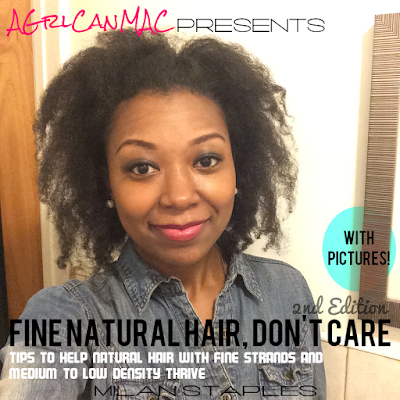 What hair care practices are you doing differently now since your hair has become longer? I LOVE, LOVE, LOVE this product! At first I only used it as a DC but then I tried it for my twist-outs and OMG! Beautifully defined, shinny, bouncy curls. I find this works better for my hair than the curl enhancing smoothie. But I do need to focus more on sealing my ends, will try this. Thanks for the post. More hair, more problems! Aint that the truth!? But yea that hair masque does wonders! Last winter I used it at night to seal my ends and it did WONDERS! I WISH YOU AND YOUR FAMILY A MERRY CHRISTMAS AND A HAPPY NEW YEAR. GOD BLESS. Wow you leave this stuff in? I read somewhere else where somebody does this too. I spoke to a SM rep and mentioned it and they said its not meant to be left in the hair. When I've used it as directed my hair dried out horribly but I added honey to it and now it's working well. Maybe I'll try adding a little to my ends at night to see how it works. Personally though, Jamaican Black Castor Oil seals the ends beautifully.